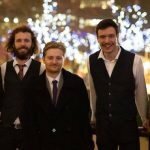 Roaming Quarter are one of London's finest fully acoustic wandering bands. 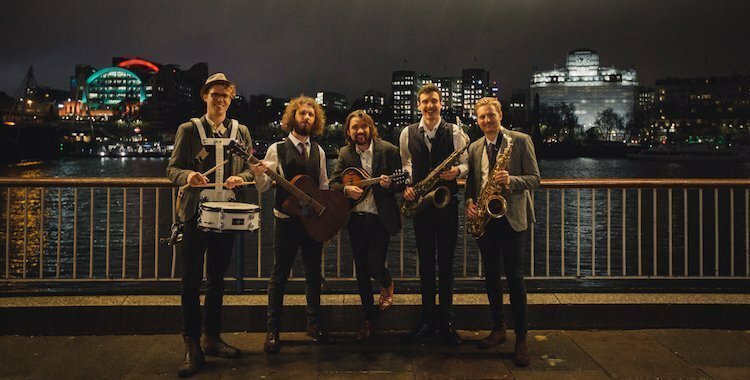 They are like a mix between a New Orleans Brass Band, and Mumford and Sons doing all your favourite tunes. 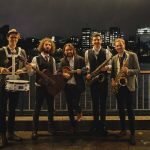 They have unstoppable energy, quirky arrangements, and a unique line-up of double sax, harmony vocals, drumpet (drums / trumpet), mandolin, and acoustic guitar that you won't see anywhere else. 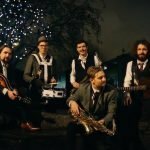 The band are experienced performers having performed all over the world in various guises. Their lead vocalist Jamie is a DJ and producer who really knows how to work a crowd. 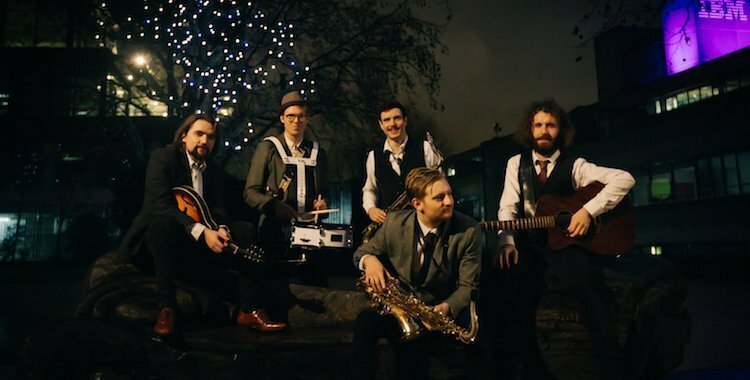 They'll have you and your guests going wild with their infectious sounds, and positive vibe. 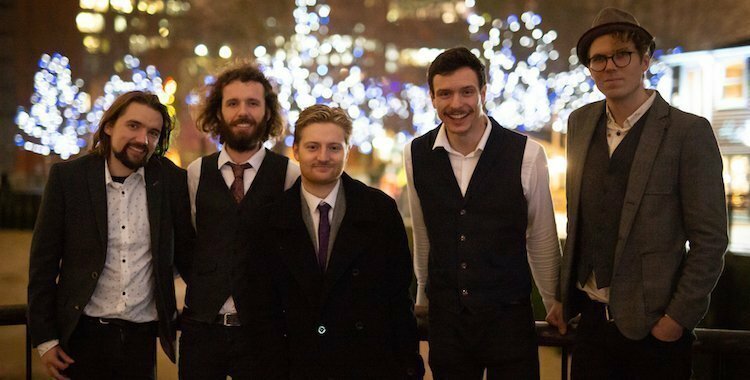 The band are available to hire for drinks receptions, wedding ceremonies, networking events, or fetes and parties all over the UK and abroad. 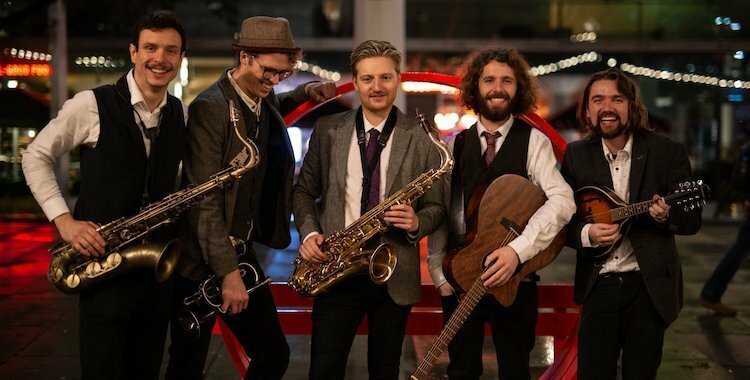 Their wandering set can be booked on it's own or if you want to use the same band for the whole day they can rock up with drums, double bass, electric guitars, and pump up the volume for evening dancing. 2 x 45minute fully acoustic wandering sets. Arrival one hour before their first set to be ready. 2 x 60mins of live music in the evening - usually between 8pm and midnight. 2 x 30minute fully acoustic wandering sets. First dance or one other request learnt. All equipment, basic stage lighting, and PA provided. Playlist of party music for between sets. Let us know your plans for your event and we can put together a bespoke service. They can also perform just for the evening as well. We can play most of our electric songs in our folk style but below are a selection of songs we think fit best on our acoustic instruments. 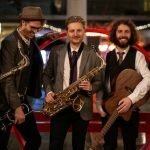 I had these guys come play at my bar after seeing them busking in Kingston. They did a great job of getting the crowd going, and everyone clearly felt very comfortable watching them. - Huseyin, The Library Club, Kingston.